What is the minimum order GAR Labs will accept? GAR Labs primary business model is focused on higher volume custom manufacturing, filling and packaging of Traditional and Natural Hair Care and Skin Care formulations for mid-size mass-marketers, and due to this higher-volume, low-cost market specialization our qualifying minimum is 5,000 pcs Per Product. How do I get samples and is there a cost? Good News! GAR would like help you keep your starting costs down AND take the financial risk out of getting to know us. 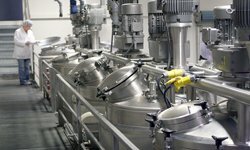 We don’t charge for any formulation or development work; we only charge for the finished product…you can ‘Test Drive’ us all day until you are fully satisfied with your product! Do you provide assistance with labeling and packaging regulations? 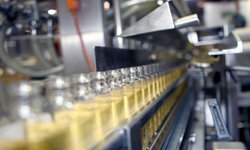 Our regulatory department can offer guidance to ensure your labels are in compliance with all federal, state and local cosmetics labeling and packaging regulations. A 50% deposit is required to initiate the purchase of the ingredients for your order. Once I approve my Laboratory Sample how long will it take to manufacture and fill my product? Estimated 6-8 weeks, depending on the availability of all your ingredients and receipt of your packaging. 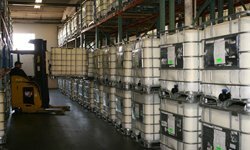 We also offer product in 55 gallon drums and 250 gallon totes (aka BULK) for filling overseas or at an alternate domestic location. (Estimated 3-5 weeks, depending on the availability of all your ingredients) Our “Bulk” order minimum is 110 Gallons per product. What forms of payment does GAR Labs accept? Company Checks, Personal Checks and Cash are acceptable forms of payment. Freight is F.O.B. our factory, Riverside, California…Customers are responsible for arranging all shipping and covering all costs. Visit https://garlabs.com/shipping-warehouse/ for shipping company recommendations. Have a question that you don’t see answered here? Contact GAR Labs using the form at the bottom of this page or call us at 951-788-0700 during normal business hours (PST) – we’re only a phone call away! 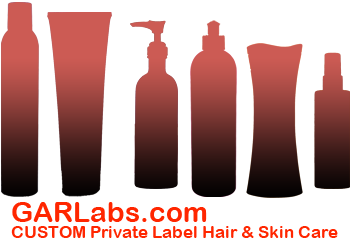 GAR Labs is a private label cosmetic hair care and skin care manufacturer. 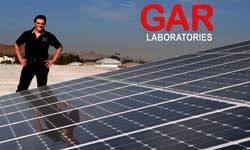 Low Cost 5000 pieces and up - Email info@GARLabs.com or call (951)788-0700.